A healthy, beautiful garden needs just the right amount of water to thrive. 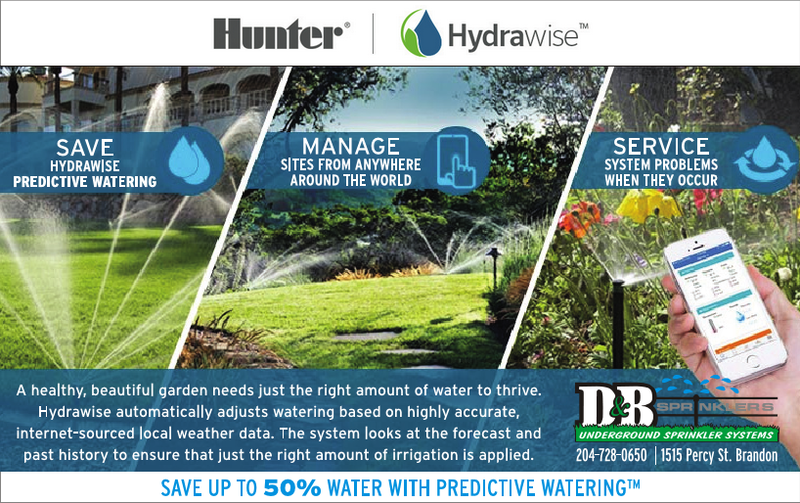 Hydrawise automatically adjusts watering based on highly accurate, internet-sourced local weather data. The system looks at the forecast and past history to ensure that just the right amount of irrigation is applied. This is accomplished via advanced Predictive Watering™, which fine-tunes watering based on the weather data. This leads to significant water savings from your sprinkler system, saving you both time and money.